I just took down the Christmas cards I received this year and recorded the names of those who sent them. Each year, I record the names of those I send cards to and next year I will send cards to those who sent them to me. That way, those who do not really like to send cards do not feel obligated to send me one. If I don’t receive a card from them, I drop their name from my list. I do not mail cards to those I see on Facebook or those with email addresses. The ones on Facebook already know what happened during the year, and I can email my Christmas letter to the others. 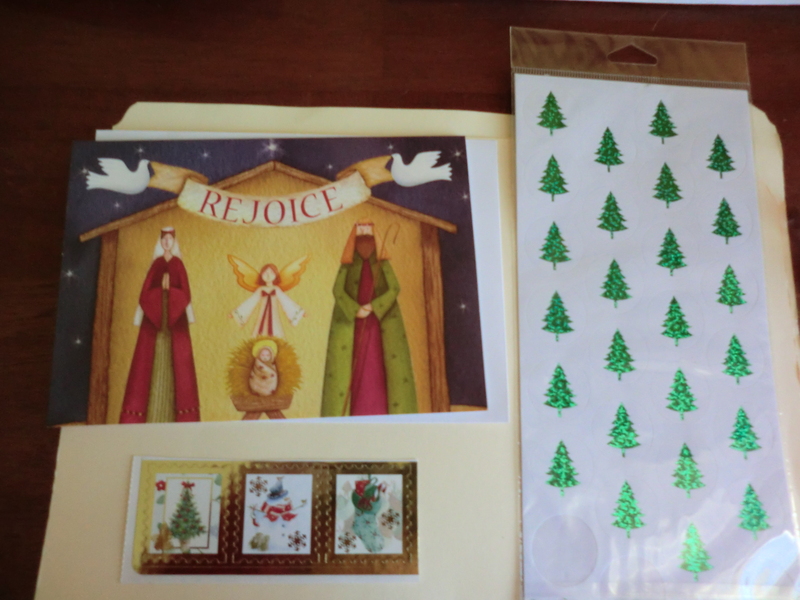 I send cards to relatives and those who enjoy sending them as much as I do. After I made my list, I counted the number of cards I will need next year. I will be looking for a box containing at least 24 cards when we go shopping this week. It is easy to get carried away buying Christmas stuff after Christmas, but no one has unlimited storage space. It is better to do an inventory and purchase only the items you need. This entry was posted in Be Prepared, Important Things, Money Saving Ideas and tagged Be Prepared, Important Things, Money Saving Ideas by Frugal Fish. Bookmark the permalink.